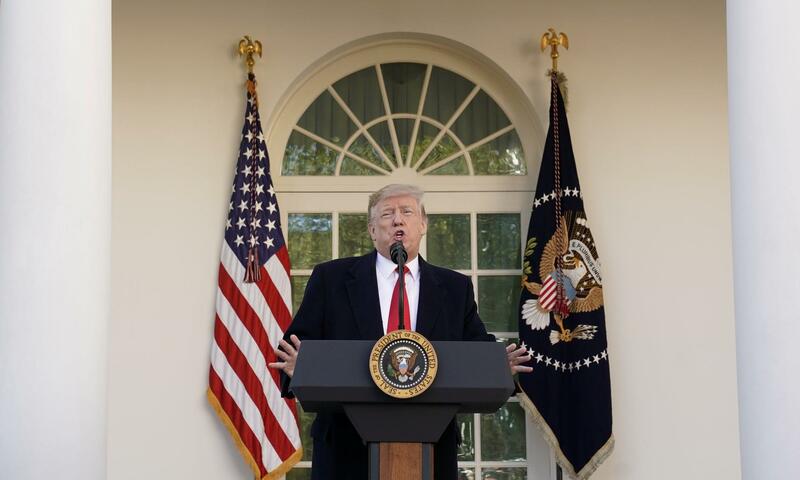 WASHINGTON, Jan. 25 (Xinhua) -- The U.S. federal government reopened late Friday after U.S. President Donald Trump ratified a bill funding the government for three weeks. In a statement, White House said Trump signed into law the "Further Additional Continuing Appropriations Act, 2019," which includes funding for the federal government through Feb. 15. Absent from the bill was funding for a wall on the U.S.-Mexican border, a must-have for Trump, meaning that the White House and Democrats will continue to negotiate within the next three weeks. In a speech on Friday afternoon, Trump threatened to have the government shutdown again or call for a state of emergency should the talks falter. But for many directly affected by the government shutdown, including the 800,000 or so federal workers, the bill marked the end, at least for now, of an ordeal that led to financial losses, instability and anger.